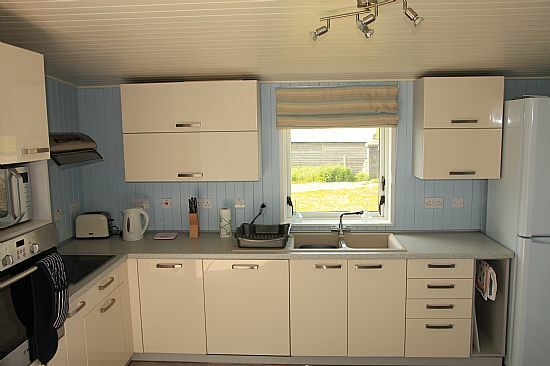 The Lodge has recently been fitted out with a modern new kitchen. 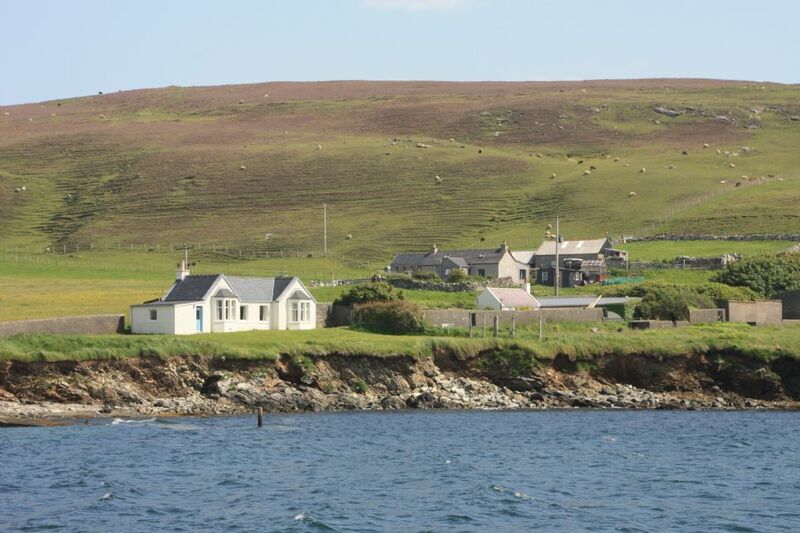 It has a hob, separate oven, microwave, toaster, cafetiere and dishwasher and is well provided with utensils and cooking equipment. There are plenty of dishes, bowls and cutlery. There are table and chairs which can seat up to six or can be folded down to accomodate two or four people as required. The kitchen is conveniently accessed either from the garden and parking area or the sitting room. 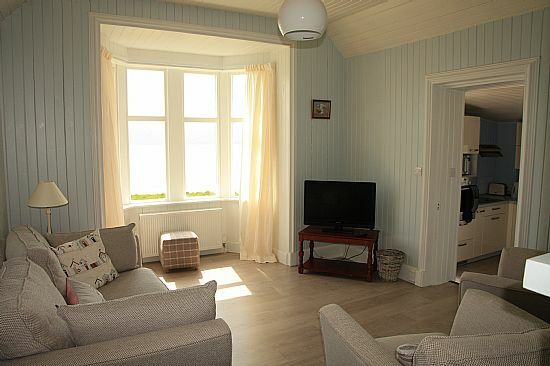 The sitting room faces South and is very light and airy with a large bay window overlooking the garden and sea beyond. It has a comfortable sofa and armchairs, a new TV with multiple channels and is well equipped with games and books for visitors. 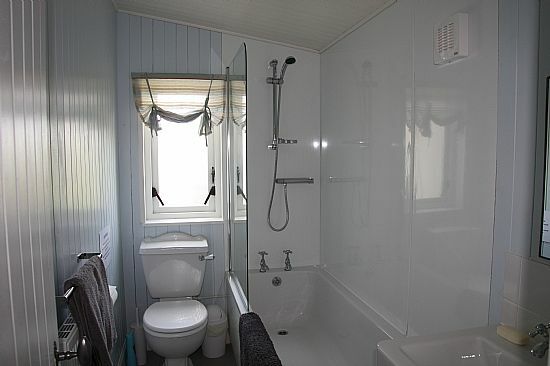 The bathroom has a bath with shower over to accomodate both those who like to shower and those who prefer a bath, especially those with small children. 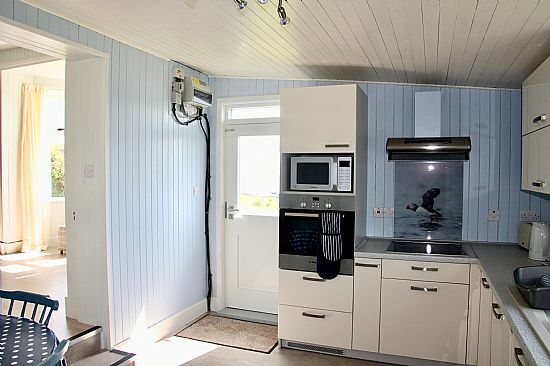 There is also a separate utility area with a washing machine and tumble dryer.